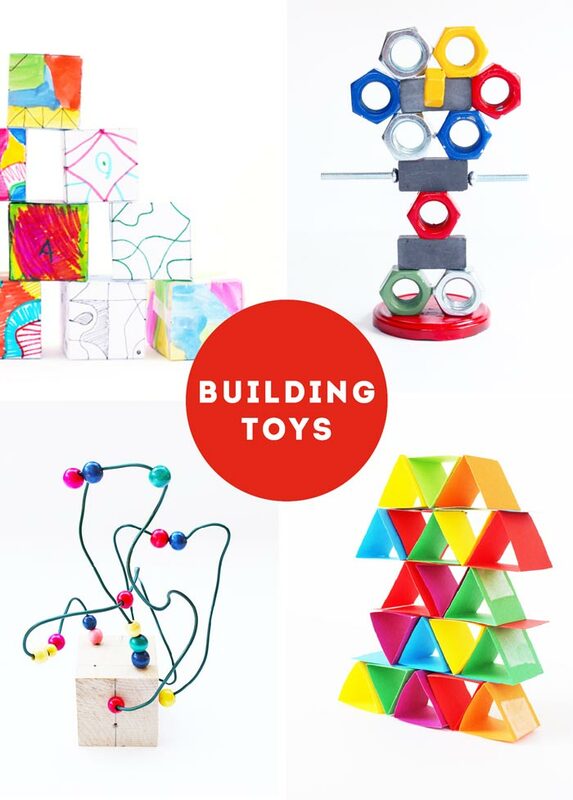 DIY toys are one of my favorite things to make with and for my kids, not only are they wonderful to play with but they are packed with design and engineering challenges for the whole family! I am slightly obsessed with DIY Toys. 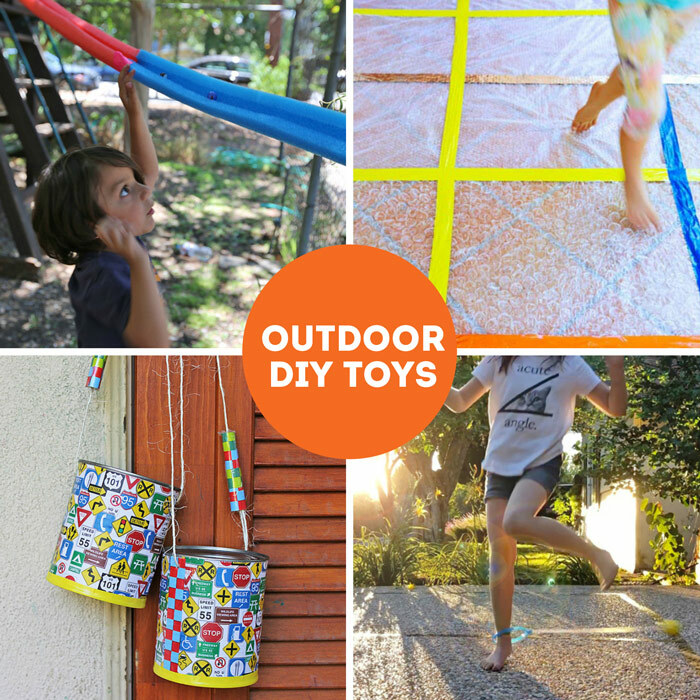 There is one simple reason: DIY Toys encourage creative thinking. Not only do you end up with something fun to play with at the end of the process, but you learn about design and problem solving as you make them! 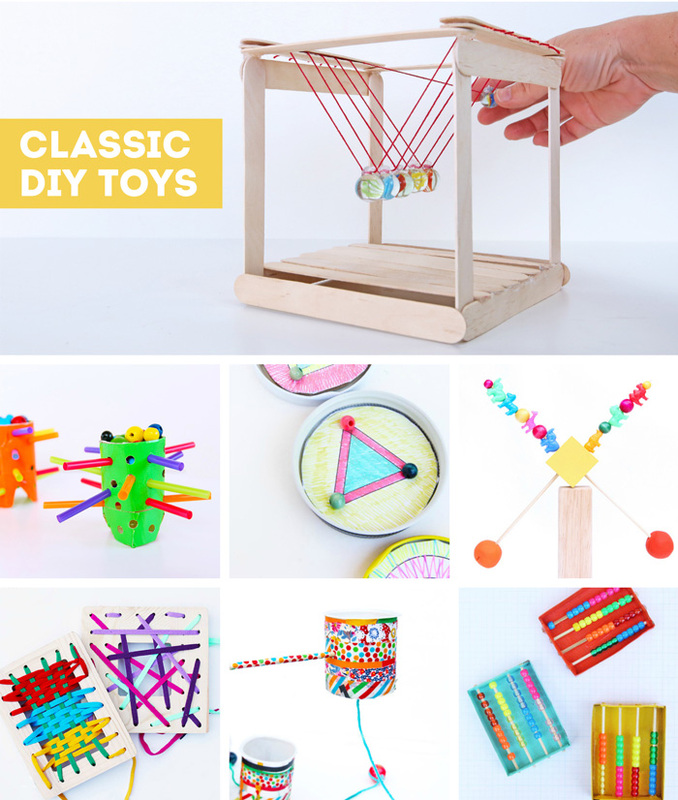 Many DIY Toys also have an educational component to them since they are often based on scientific principles to give them a “wow” factor, principles like inertia, energy, and gravity. So instead of heading to the store the next time your child asks for a new toy to play with, consider making one of your own. I’ve got 40 ideas for you! See a few highlighted in the video below and the complete list follows. Easy to make and easy to fly! Kids love make this simple paper toy! 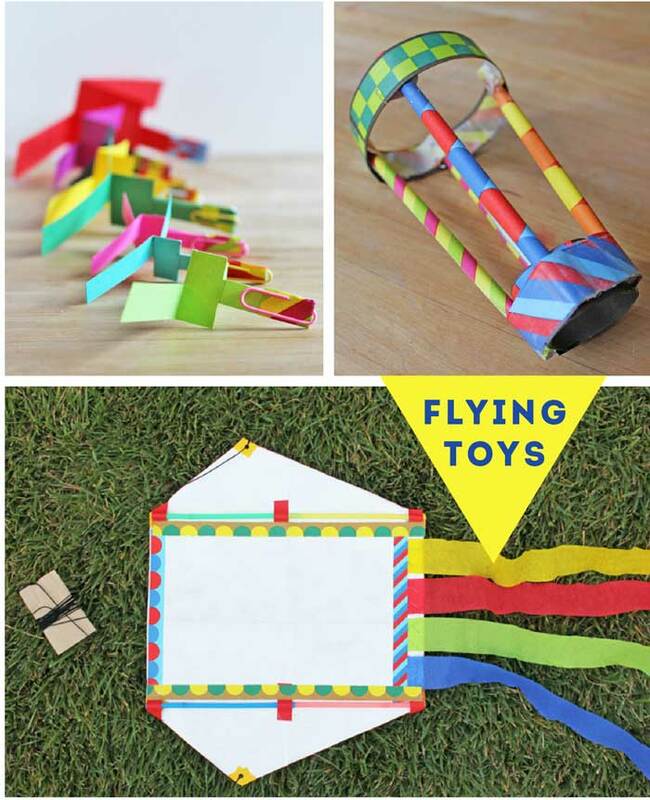 Take your paper airplane making to the next level and make a Zappy Zoomer! Make your own DIY kite out of everyday materials. An irresistible top idea with an artful twist! Learn about angular momentum and color theory with this spinning top. An electronics project you will enjoy watching dance. Potential and kinetic energy never looked so fun…. What does your brain do with spinning images? Find out with this paper top. These tops spin FOREVER! Well at least looooong time! 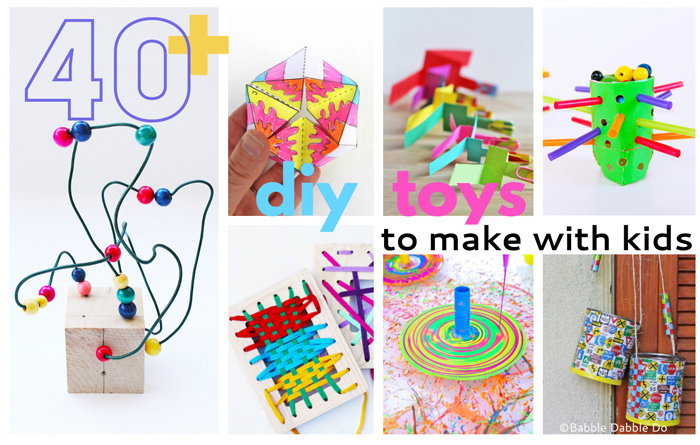 Make a simple DIY Toy that looks very complex! Make geometric mosaic magnets with magnetic sheets! For the little space explore in your life! Make a constellation geoboard. Design colorful mini mazes using large Perler beads! Coolest.paper.toy.ever. Make this paper toy and be mesmerized by the colorful action! Make the easiest DIY geoboard ever and explore concepts like area and perimeter with kids. From my book STEAM Play & Learn. We used large box lids and play dough to design simple marble mazes! Similar to Mosaic Magnets, this is based on the classic game Tetris! A geometry game your kids will love. Easy recycled craft idea: Make DIY blocks out of cardboard tubes! Turn your 2d drawing into 3 dimensions and stackable art blocks! Explore magnetism with kids by making magnetic sculptures! Explore the art concepts of line and space with this classic toy idea! Make building blocks out of paper! Great way to illustrate how shape affects strength. 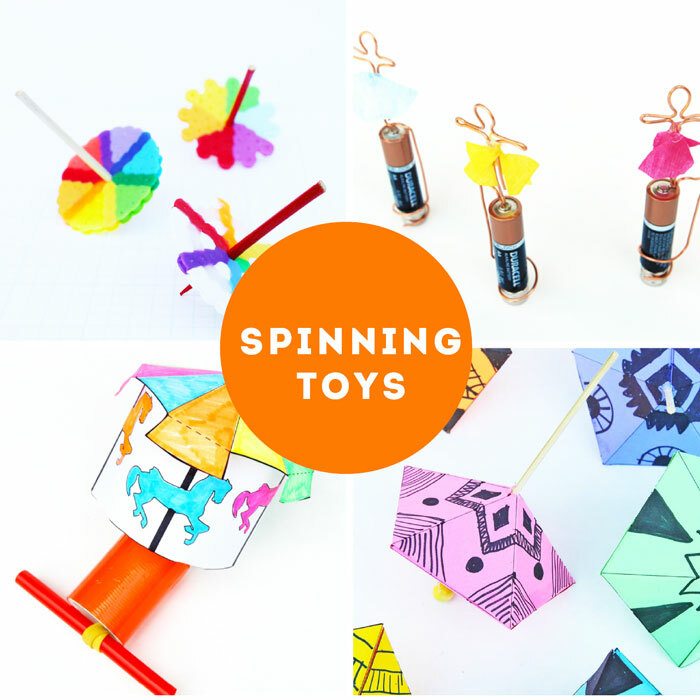 Learn about centripetal force and engineering in this easy to make DIY toy! Turn leftover bubble wrap into a rug for some sensory fun! A fabulous STEAM challenge for groups: Make a playground sized DIY marble run using pool noodles! Learn how to make the classic DIY toy: Tin Can Stilts! Transform a cardboard tube into this easy to make DIY game inspired by the classic Kerplunk. Make the classic Cup & Ball Game using a few household items! 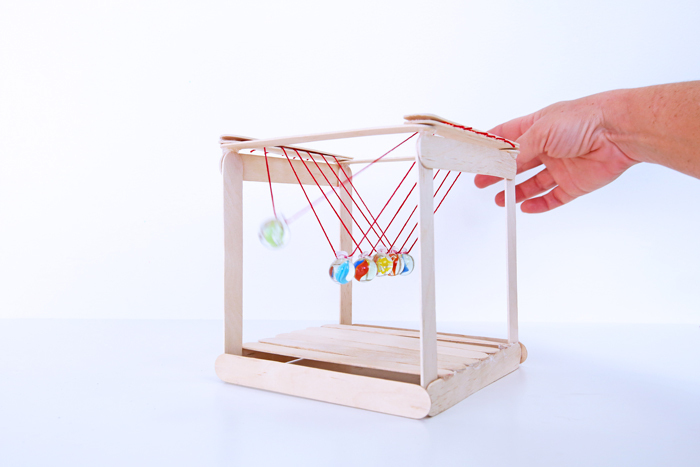 Make a homemade balance toy and explore the concept of equilibrium. Recreate the classic balance bead game at home. Learn how to make and use a simple DIY abacus. Learn how to make playdough and explore color theory by creating a rainbow play dough color wheel. 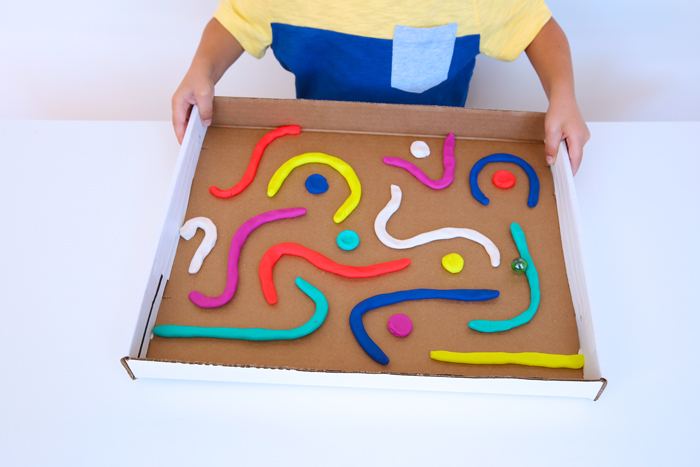 Frame Lacers are a colorful DIY toy that doubles as a great fine motor skills activity for kids. From my book STEAM Play & Learn. A wonderful toy that teaches kids about momentum! A DIY toy that doubles as a STEAM Valentine’s Day activity! Similar to the balance toy above but made out of recycled materials. A classic DIY toy/instrument recreated out of recyclables! Learn how to make a microscope using a few recycled items and a water drop! 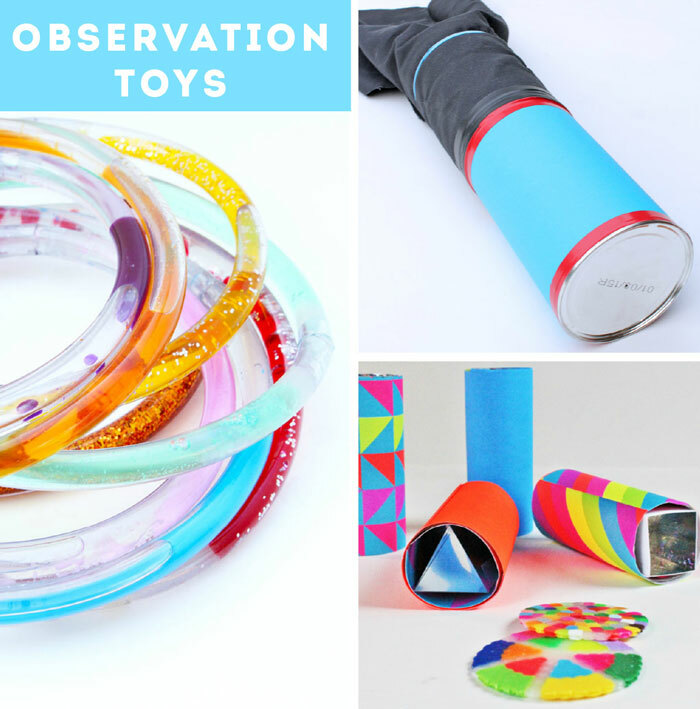 Explore three different scientific concepts in one colorful DIY toy! Learn how to make a DIY Camera Obscura from coffee cans! A simple open ended DIY kaleidoscope you can make at home. Make a simple optical illusion toy and trick your eye! 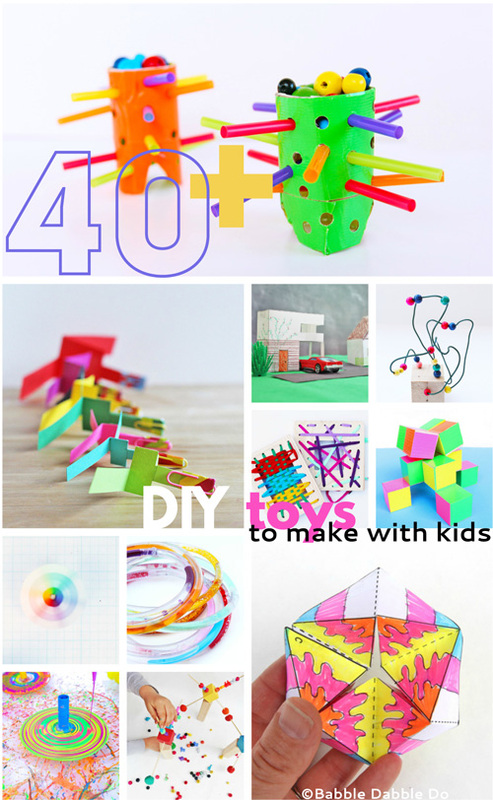 Fun paper craft for kids. Make a GIANT small world in your backyard for hours of creativity and play. 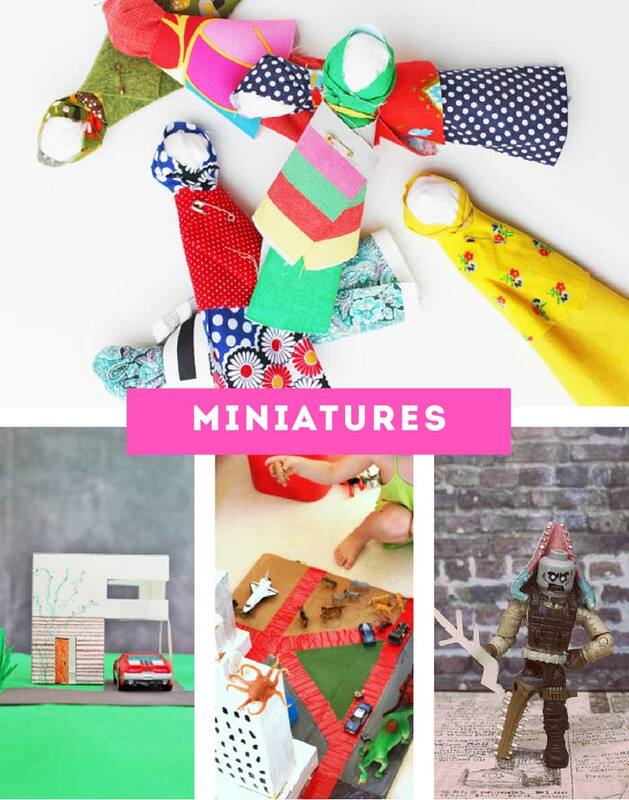 Learn how to make a doll with a craft stick and some fabric scraps. PAPER HOUSES you can print, cut, and decorate! Save cardboard boxes and collaborate with your kids on a cardboard city. Add Hot Wheels cars and figurines for a complete city. Make your own MUTANT TOYS from leftover toy parts! You can also check out our PAPER TOYS PLAY PACK with 7 printable toys and 10 templates! Easy to download, make, and play! These toys are so creative Ana! I think the geoboards are a really neat idea.